Is there a way to avoid root canal treatment or any alternatives? This is something that most people requiring a root canal treatment would like to know. We outline the only ways in which a root canal can be avoided and the alternative options. Hearing you need root canal treatment from your dentist can be a scary thing. Unfortunately, quite often the only other alternative to a root canal procedure can be having the tooth extracted. Not a viable option for a lot of people in a lot of circumstances. So, how can a root canal procedure be avoided? The most common reason for needing a root canal is tooth decay . Once the tooth becomes decayed to the point that the nerve inside the teeth has started to get involved, a root canal is needed. Some of the symptoms that indicate that tooth decay has spread deep inside the tooth include pain, swelling, pus formation, difficulty in chewing with the affected tooth, and even chipping away of the tooth . Tooth decay is actually quite slow to progress into the teeth. It starts off as a tiny speck which then grows deeper inside the tooth over a period of months to years. There are plenty of opportunities for the patient and the dentist to stop the decay from progressing further and thus avoiding a root canal treatment procedure . 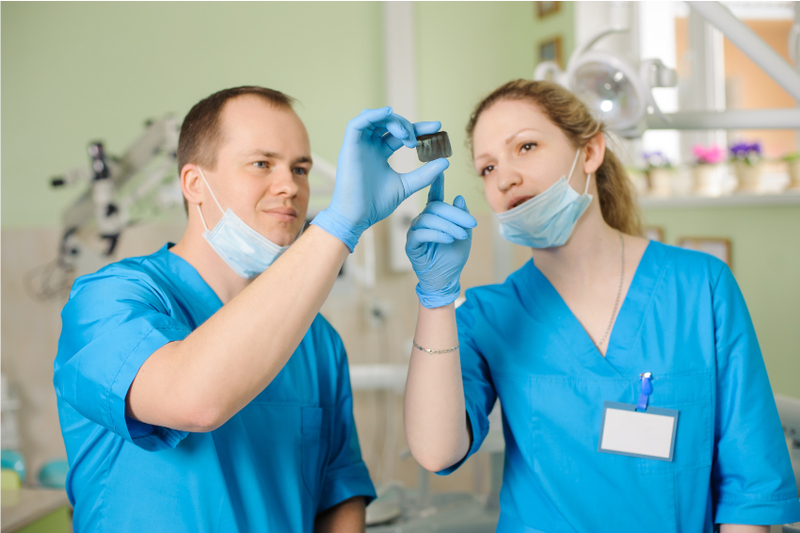 Fillings in of the cavities can be carried out during the initial stages of tooth decay to help prevent a root canal. A filling can be carried out in a single appointment and typically does not require any anesthesia either. The ideal situation would be one where the teeth never end up getting decayed. This may not always be possible but there are several methods by which you can give yourself the best chance of avoiding tooth decay. As an adult responsible for your own dental treatment, take the time to brush twice a day. It is a simple thing that will do wonders to the level of oral hygiene in the mouth. Also, ensure that a professional cleaning is carried out every six months or at the very least once a year . If there is an area in the mouth where some food is getting stuck then show it to the dentist. Any place where food gets stuck is a place where tooth decay will take place . As an adult responsible for a child’s dental health, teaching the right brushing habits is paramount. Children of around 6 years of age should also be treated with fluoride application at the correct intervals as that can massively decrease the chances of tooth decay later in life . Root canal treatment is not only possible in children but also commonly required and so taking the right steps at the right time to prevent the need are very important. There are many times where people have missing teeth in their mouth that they need to get replaced. The two most popular options right now are dental implants or dental bridges. Since a dental bridge is more affordable and less technique sensitive, a lot of patients end up choosing that option. One of the drawbacks of a dental bridge is the fact that two teeth need to be cut or ground as a part of the process. This can make these supporting teeth sensitive or painful eventually requiring root canal treatment . The simple way to avoid this is to choose dental implants wherever possible if you can afford it. Dental implants have become more affordable than ever and in some situations can cost just about the same as a dental bridge . The cosmetic aspect of dentistry cannot be ignored. Everyone wants to have a perfect smile and dentists have the tools at their disposal to make it happen. Smile designing, as it is often called, used to require traditional dental crowns to correct the color, size, and shape of the front teeth. The removal of so much tooth structure used to require root canal treatment to be performed as well. Now, veneers and laminates have become strong enough to allow their placement in almost any clinical condition . These require a very conservative amount of tooth cutting and root canals can be avoided. Prosthodontists (Dentists that specialize in tooth replacement) or a dentist that has been trained in cosmetic dentistry is a good option to consult for this treatment option. Veneers and laminates have also come down drastically in price as the treatment has become more widespread. Root canal treatment is provided to try and save the tooth while getting rid of the associated symptoms. The only other option that the patient has to extract the tooth which will rid the patient of any pain but will lead to a loss of the tooth . Sometimes, there are teeth that have been decayed for a very long time and have actually died. These teeth remain infected even though they may not cause pain. The only options here to the patient are also root canal treatment or extraction. Leaving the tooth as it is will only allow the bacteria to spread inside the mouth and cause further problems.